I had a great meeting with Carl Heneghan at the Centre for Evidence Based Medicine yesterday. I went with an agenda which Carl skillfully dispatched and then turned everything on it’s head. I believe I’ve recovered. One issue we touched upon was new research and how to keep up to date with the latest evidence. At Trip we aggregate the World’s evidence. If there’s new high-quality research it should be (and probably is) in Trip. But Trip is a search engine. Chris (my partner in Trip) is a GP and he uses Trip to answer clinical questions. To him this is what he wants Trip to do and he’s very happy with how it works. Carl, on the other hand, wants to know what’s new and what to take notice of (as well as searching for answers). But what’s the best way of Trip using this data, not just for diabetes, what about hypertension, acne, hay fever? We want to find a great way of highlighting new evidence. It needs to look good and make people want to engage with it…! Carl highlighted what the BMJ are doing with their portals e.g. 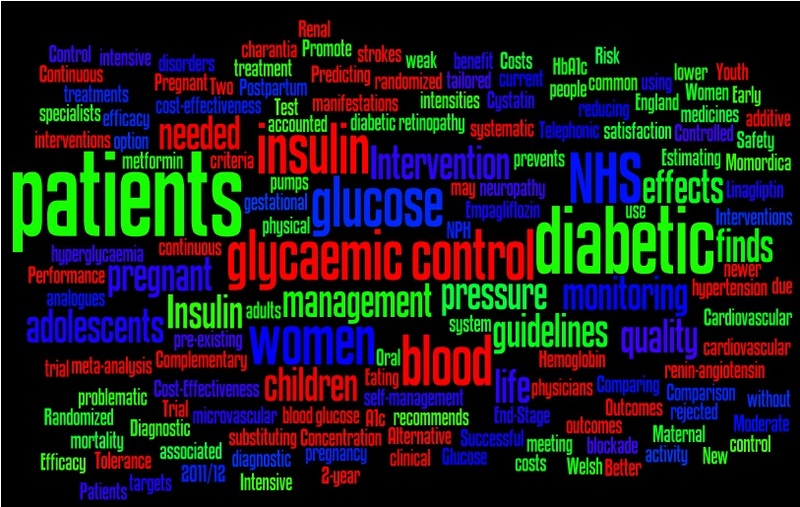 diabetes portal, not as something to aspire to but an example of one approach. If you’ve ever seen Flipboard for iPad, I like that approach but no idea if it’d work. It might be that we use our – soon to be released – timeline. But if anyone has any ideas – please let me know.